Like, Tweet, or Email us now! 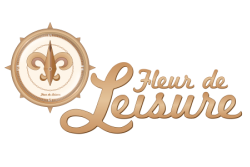 Welcome to Fleur De Leisure! "Where would you rather be?" Fleur De Leisure is a full service travel agency. We specialize in Cruises, All-Inclusive Travel, and Corporate Travel, however there is nothing we can't handle. Why spend hours searching through hundreds of online sites when we can take all the stress out of planning your trip at no cost to you! We work closely with suppliers to get you the best value for your budget. Our highly trained agents are frequently traveling to locations, doing site inspections, and cruising aboard the many cruise lines. We participate in weekly meetings and training updates for all the major travel suppliers. Let us use our knowledge, experience, and LOVE of travel to get you "Where you'd rather be".